Some folks may be wondering how my retirement schedule is going. After hearing so many stories, positive and negative, regarding retirement, and knowing people who promptly returned to work, I also wondered what it might be like for me. The author’s dog, Django, performing a perfect down-faced dog. 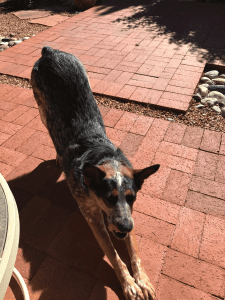 It’s hard not to notice that Django does yoga with more grace and ease than the author. The key for me was to plan. This is not always so easy, but it has worked well for me. I cut back. Early on, I went from five days a week to four. After a few years, I went from four days to three, and I stayed there for several years. The next step was not to take any new patients. This was the most difficult, and I did take on a couple of people because I liked them and was curious about them. But because I worked psychoanalytically, beginners usually started at two to three times a week. This can result in many working hours. When I went to two times a week in my last office, What Survives (2016) was published. And Myopia, a memoir (2017) was published the following year. I hope to have the first draft of Fatma, Daughter of the Prophet (working title) finished by the end of this year. I understand there are people awaiting its arrival! Please be patient. The research involved in this one is lengthy. Fortunately, I have the time to do it. So, I planned carefully, even though the best of planning can fail through no fault of the one doing the planning. 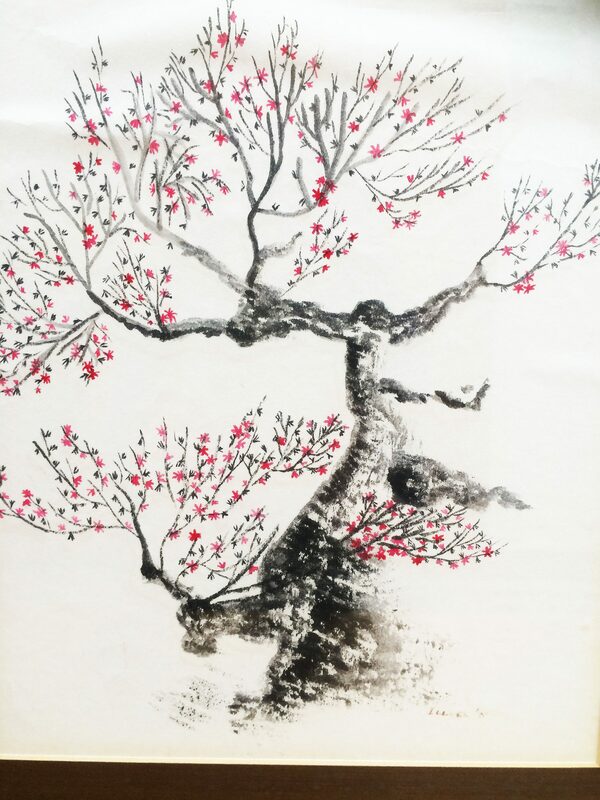 Aging is tricky, and as my lovely mother-in-law used to say, “not for sissies.” Aches and pains, wishing I had the same energy I had in my twenties—these are constant challenges. But age has given me the discipline that was not mine in my twenties. On the days when my left brain takes over, I read and edit. This eventually wakes up my right brain, and I am able to move along. The author in Central Park (New York City) after receiving her shodan. 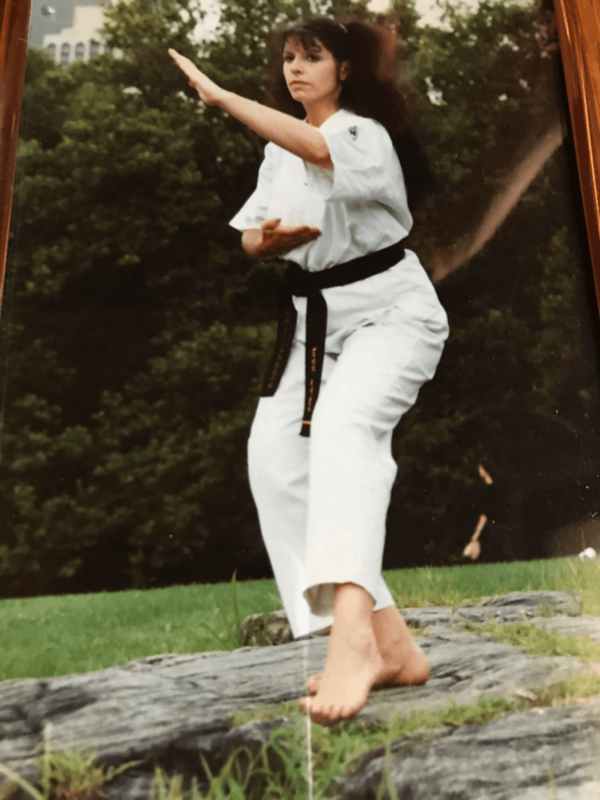 When I had to retire from karate a number of years ago, due to physical limitations, it was a difficult transition, and that is when I began to write more seriously. I’ve always felt that if I could not do one thing, I should turn to something else. And this was a process as well. I was teaching a karate class for deaf people in sign language, and I had to slowly back away from my responsibilities there. Perhaps that experience was good preparation for my retirement now. Now I have the time to stretch in so many ways, not only as a writer, but in the appreciation of the gorgeous place in which I live, and of my loving family and friends. I am still a bit shocked at being at this place in life, a place where I never thought I would be. And my world continues to grow with the talented writers I meet and work with in collaboration. New Mexico is rich with writers and artists, and thanks to Bosque Press and its community, and the editors’ nurturing and support, my new life as a writer continues to flourish. In the martial arts, a black belt is a shodan. Dan is the ranking system, and sho means beginning. After years of hard work and training, when one finally reaches black belt, one must begin all over again. This kind of training was invaluable to me in my life. We are never finished until it is our time to leave this world. And since this world has many hurdles through which we must jump, flexibility is key. In order to be flexible, one must do a great deal of stretching.